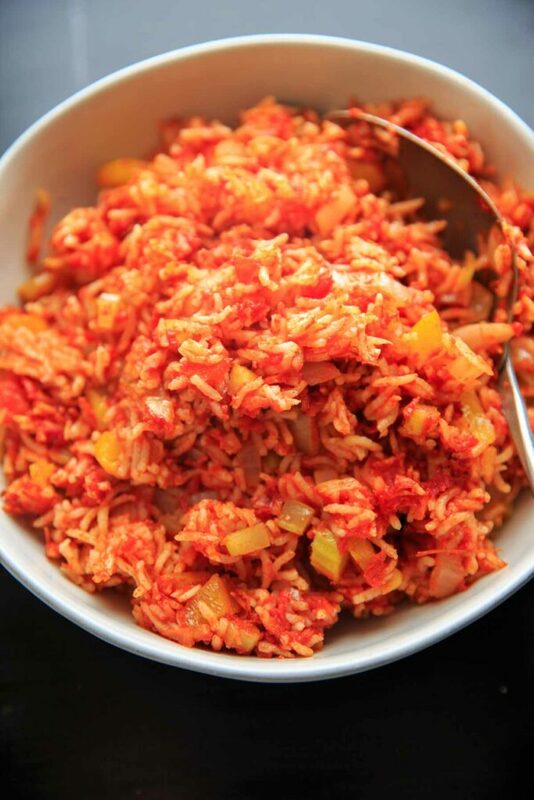 Nana’s Spanish Rice recipe – a super easy, one pan / one pot side dish that takes only minutes to throw together. No need to pre-cook the rice! Naturally vegan and gluten-free. Before I became a foodie, I had a really hard time eating out at restaurants – especially other cuisines. I was afraid to try new things in case I didn’t like them. So once I was familiar with a menu and found something I liked, I would order that every single time. Mexican food is my mother’s favorite so, before I learned what else I could enjoy, I stuck to basic sides like beans and rice. 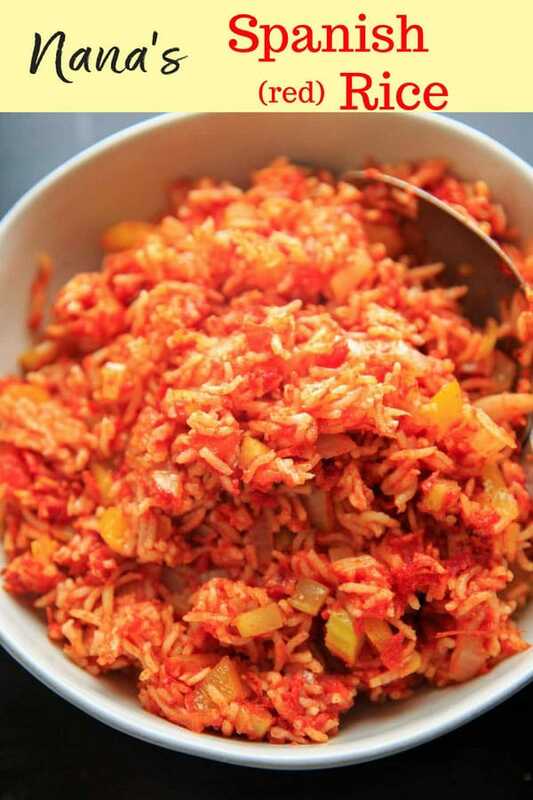 Spanish rice (or more correctly, “red rice” since Spanish rice from Spain is actually yellow) turned into a Mexican food staple for me. My grandma would also make a version of it that was really good! And I just learned that she got it from her mom, my Nana. But the best part is? This is a one-pan or one-pot recipe! 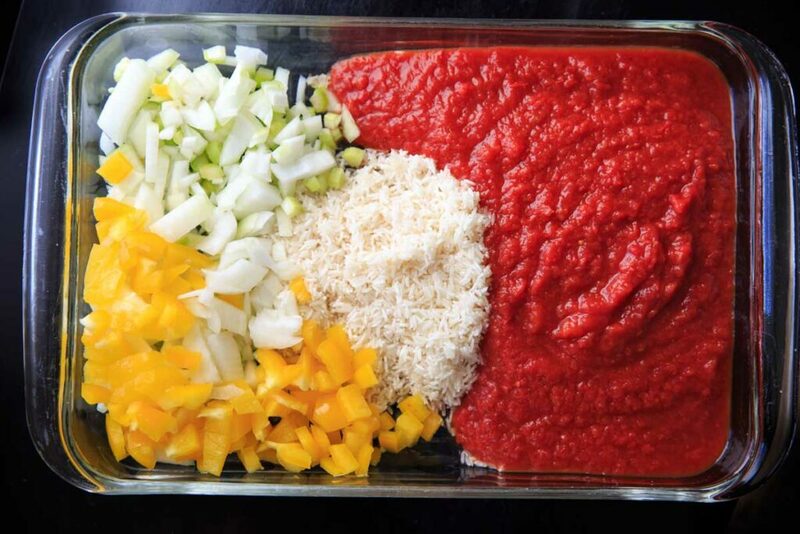 All you have to do is mix all the ingredients together in a casserole pan, cover and bake for about 45 minutes – 1 hour! Covering is important so it doesn’t get too dry. 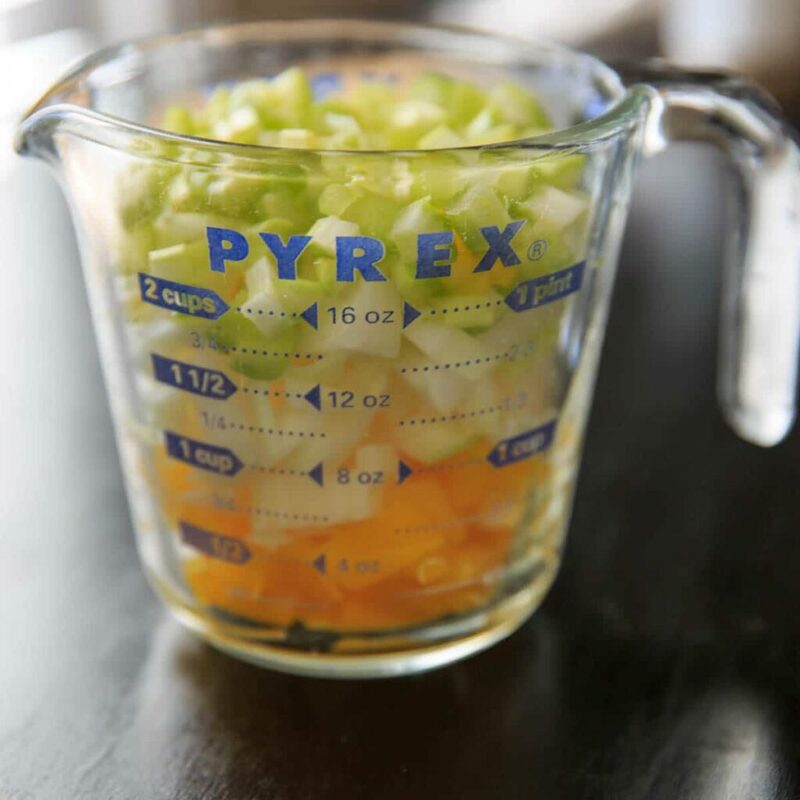 PRO TIP: If you feel like adding an extra step, you could saute the onion, celery and bell pepper for a few minutes before mixing it in to add some flavor. But we’re keeping it easy today. 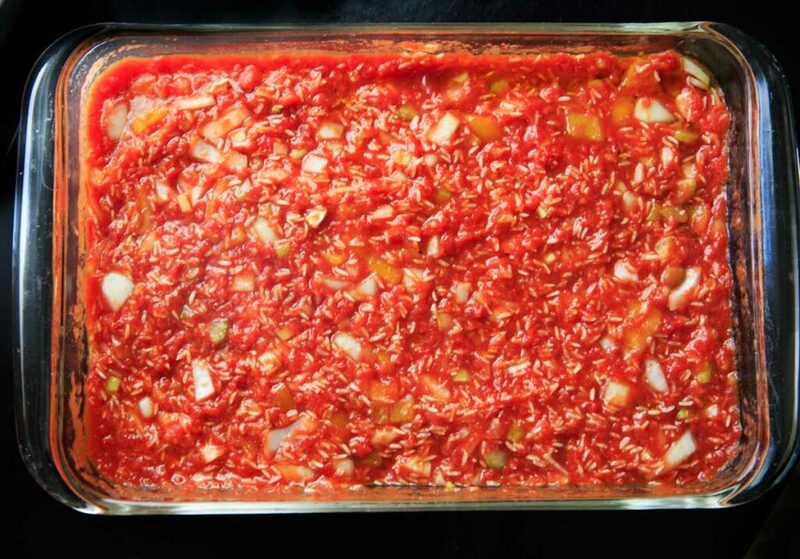 This would go great with an enchilada casserole and some bollilo rolls! 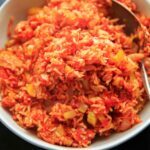 Nana's Spanish Rice recipe - a super easy, one pan / one pot side dish that takes only minutes to throw together. No need to pre-cook the rice! Naturally vegan and gluten-free. 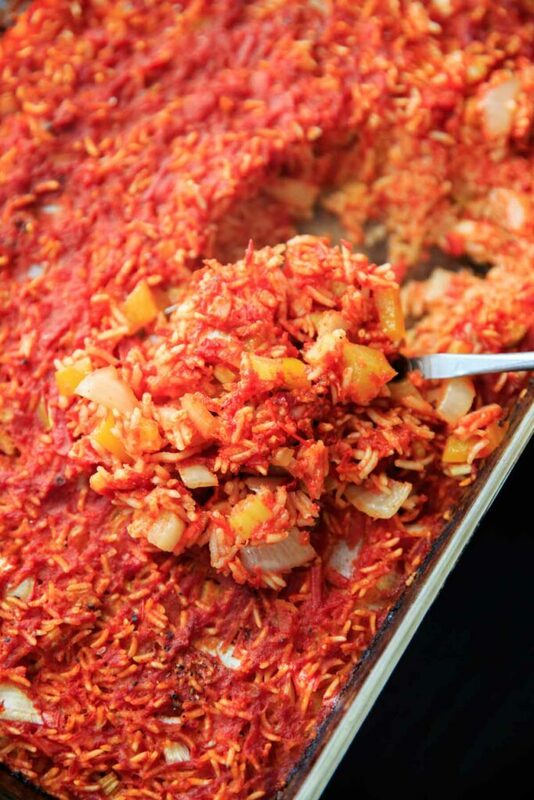 In a casserole dish (13x9) or medium stove pot, add in all ingredients and mix together. 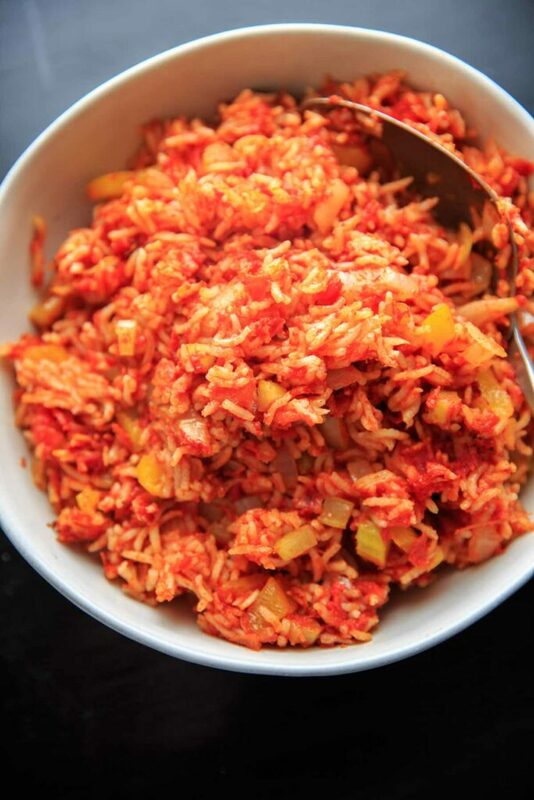 Cover with lid or foil and bake at 350°F for 45 minutes to 1 hour (stirring occasionally if possible) until rice is cooked and tender. This looks delicious and simple to make! I try not to cook with much oil at all (it affects my MS) is it possible to omit the oil or reduce it? Or is it a key ingredient? Thank you! I haven’t tried this without the oil – it does need the liquid for sure but you could try substituting with more water if you really don’t want to use oil – omitting it all together might make it too dry.